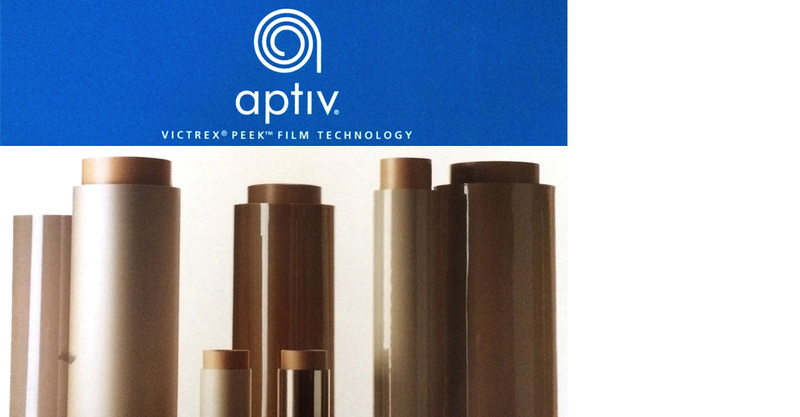 In 2006 Victrex commissioned a line to produce film out of it high performance polymers. While having long standing success with its polymers this new format was an innovation that had the potential to help the business target the material for use in new applications. To effectively position the new product and raise brand awareness a comprehensive communications strategy was required. After the branding was designed and developed the next phase was to launch. 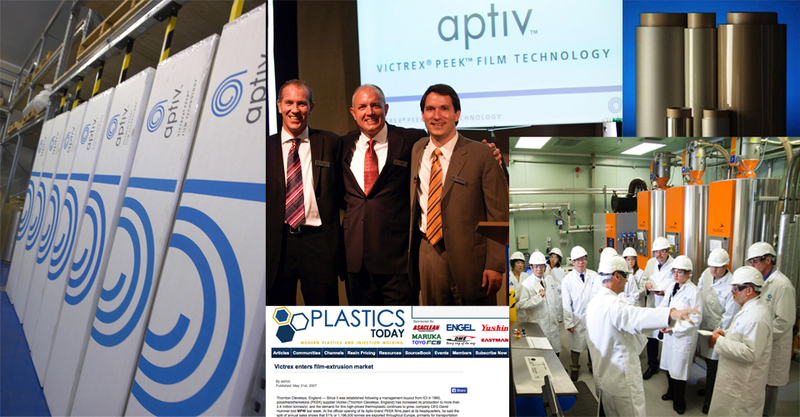 The global launch of APTIV films was held in May of 2007 in the UK at the company’s headquarters location in Lancashire. Reporters from around the world were invited to attend the two-day event. The press kit included photography, executive bios, case studies, fact sheets, a brochure and the launch press release. Media gathered for executive presentations, a film line facility tour, and one-on-one interviews with the leadership team. As and extension of the media outreach a key customer in the aerospace segment was invited to tour the line with select members of the sales and marketing team. The event garnered significant coverage in Plastics industry leading publications including Plastics Technology, Modern Plastics, Mechanical Engineering and Kunstsoffe International and additional coverage in key market publications. 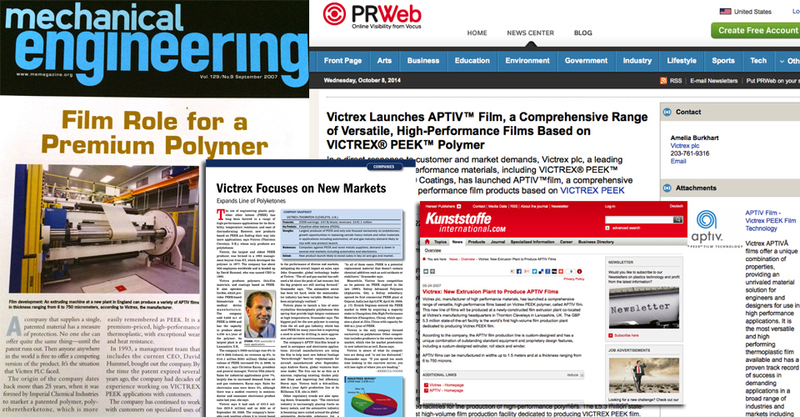 The event was a game-changer for Victrex being the first time media or customers were invited to the industrial manufacturing site subsequent to this event strategic customer visits are a common occurrence.